Barefoot Angie Bee: Thoughts from a nuun sampling and Steampunk help please. Thoughts from a nuun sampling and Steampunk help please. Saturday I worked at two different Hy-Vees doing nuun samplings. It was a seriously slow day. I had much time to think, and think, and think. I did meet some cool peeps but this lasted about 30 minutes of my long day. A shout out to Cameron's moms friend! Thanks for trying nuun! Hello to Sheila! I hope you check out this blog and keep in touch. 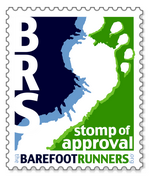 I would love to help you in your journey getting back into running! The night before the sampling I met the stealthy cyclist that I see often on the paved bike trails that I run on several times a week. Hello to Dee and Joe! I enjoyed talking with you and am so glad you told me of The Nadas song "Run in Place". Being away from the fam for even one day is enough to remind me what truly makes me happy. Its nice to bring home some bacon but I would rather be with my boys. As I stand thinking and intermittently share the nuun love, I make lists. I love lists so this is a high point and not a complaint. One list consisted of marathon training notes. Another was thoughts on my future Steampunk outfit I want to put together for the Living History Farms XC race in November. 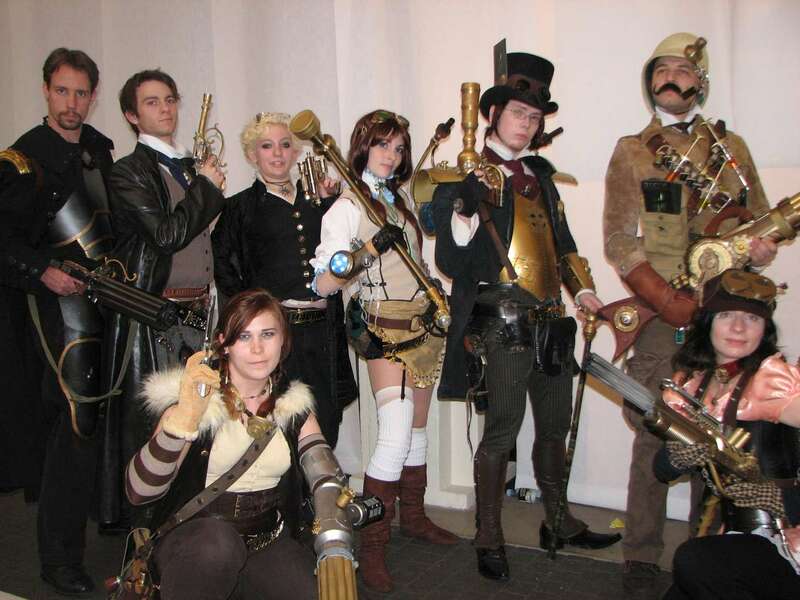 Here is an example of Steampunk below. Think Hellboy II and the Golden Army or The City of Lost Children, which I haven't seen in ages and if I remember correctly was pretty weird. Hellboy we watch often! 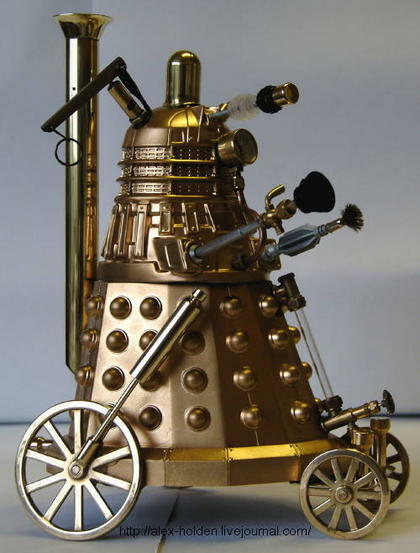 The new Doctor Who's TARDIS has a bit of a Steampunk flair to it as well. 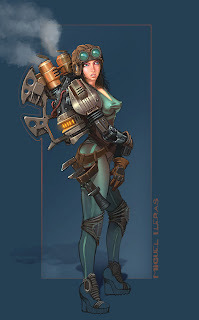 The hubby just said that the remake of the movie The Wild Wild West was Steampunk although I have not seen it. If anyone has these things laying around and want to donate to my costume efforts please let me know!! Here is what I need or if you have ideas pipe up and be heard! Most importantly I need the goggles and helmet. Think Firefly with more brass a bit more victorian edge and trinkets! So I just know someone somewhere out there just has this stuff laying around waiting to be used, no? What races have you dressed up for? Do you have any on the docket for this season? Just for fun a Steampunk Dalek! Sweet huh! hahaha, I will check my closet. 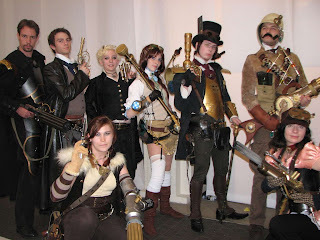 Being a teen in the 80's, I actually owned and proudly wore many of the items you are need for your Steampunk outfit. Not sure I still have any, but I will look for you! good luck! Check out the Salvation Army, I tend to find great dress up things there....one year I got a sleveless polyester flowered dress, I looked just like Marlo Thomas in That Girl. A friend dressed up in steam punk garb for Halloween. I think he just went to thrift stores and got stuff. He might've made his shoes. I can't remember. Want me to ask him? I don't do fancy dress even though I live in a town where folks just dress up randomly for things like softball games and going skiing, but I think I could Steampunk...I like the funky Victorian bits. We're kind of short on stores here, but like I said, long on costumes so I'll keep my eyes open for you. That sounds like one awesome costume! I don't have any of those items, but think a Salvation Army type store may have some of them. Looking forward to pics! Try hitting the places that sell used home fixtures (radiators, pipes...) You might find some gear there. I'm with you about being home. This is the longest time that I've had off with my boys and wonder what it will be like when I go back to school. i like the salvation army idea from above. Should be a fun costume? That will be one serious outfit! I am eager to see what your creative mind pulls together. Whatever you come up with will be great! 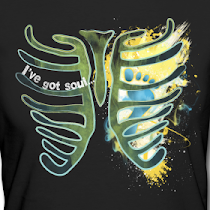 You are so creative and you will be styling for sure:) Good luck finding what you need! you are crazy. CRAZY AWESOME. do it! 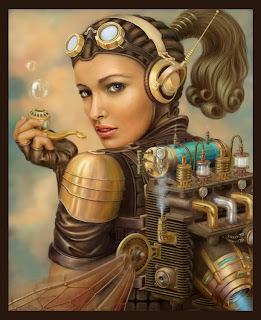 I'm no help with any of the goodies, but I just learned quite abit about steampunk on the discovery news podcast. interesting stuff! I REALLY want to dress up for a race but I haven't yet. I've got my eye on a jingle bell race that has "santa costume" written all over it.